The XM concept is one of three tall wagons that Mitsubishi has shown. The company will launch a new model that slots between the Outlander and the smaller RVR. OKAZAKI, Japan — A new production-ready tall wagon developed from one of three recent Mitsubishi concept cars will debut at the Geneva International Motor Show in spring of 2017, says chief designer Tsunehiro Kunimoto. 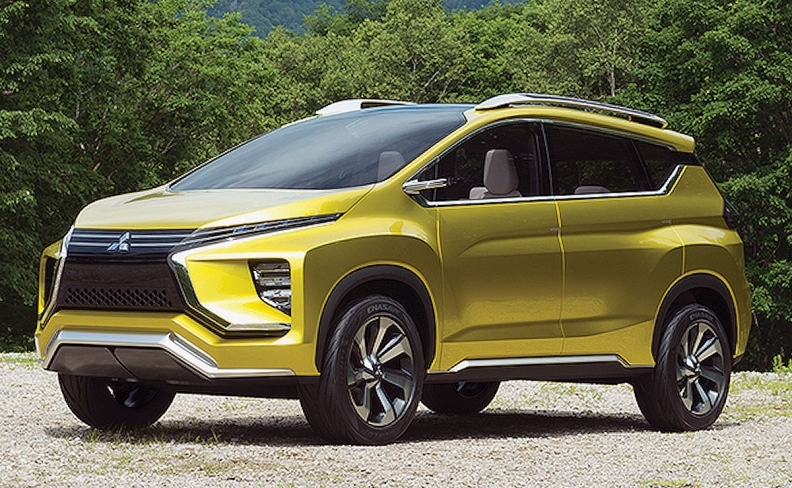 Mitsubishi has shown three concepts recently — the GT Concept, the XM Concept and the eX Concept — each of which presages replacements for the large Outlander and smaller RVR, as well as a third tall wagon expected to slot in between the two. Here’s what is known: Tony Laframboise, vice-president, sales and marketing for Mitsubishi Motors of Canada, said Mitsubishi is mostly getting out of the car business in North America. Lancer production will cease in December 2017, leaving Mirage and Mirage G4 as the only cars in Mitsubishi’s North American portfolio. In place of Lancer will be a lineup of utility vehicles. As part of the evolution, the next Outlander will be larger while the next RVR will shrink to a size comparable to competitors such as the Mazda CX-3 and Honda HR-V, opening up white space in between for a newcomer. Such a time frame would coincide with an expected on-sale date of a new vehicle unveiled in March. Based on what was shown in Okazaki, the GT Concept suggests the new size for Outlander, the eX Concept the new size for RVR and the XM Concept as the newest model in between. Laframboise said Mitsubishi is reacting to a trend that shows a massive movement out of cars and into tall wagons, and is targeting a doubling of sales in Canada over the next few years. That trend might already be on its way. At an introduction of a tour of Mitsubishi’s Okazaki assembly plant, general manager Shinya Toyokuni said the plant is expected to produce 8,600 Outlander and RVR models for sale in Canada in 2016, but nearly twice as many in 2017. The plant produces the two crossover vehicles, as well as the Outlander Plug-in Hybrid Electric Vehicle, which is not currently sold in Canada. Kunimoto, 64, who joined Mitsubishi in 2014 after 40 years at Nissan — where he was chief designer of the Juke — said Mitsubishi’s new design language will be distinctive, with an emphasis on a strong, bold fascia and a light, airy greenhouse. He said he’s drawn on Mitsubishi’s heritage, primarily in the areas of crossovers and the company’s success in motorsports, particularly the gruelling Paris-Dakar rally.